Copper Alloys: Aluminum, Copper, Brass & Gunmetal. 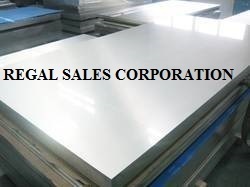 Our company hold expertise in providing our national and international clients an assortment of Copper Alloy Sheets and Plates, which is manufactured using cutting edge technology in compliance with industrial standards at our vendors' end. Range: 1 MM TO 200 MM THK IN 1000 MM TO 3000 MM WIDTH x 2500 MM / 5000 MM / 10000 MM / COIL. Since our inception, our firm is affianced to introduce a premium quality array of Copper Alloy Sheets. We are involved in manufacturing and supply an extensive range of copper alloy Sheets & plates, that are trusted for their various salient features like corrosion resistance, durability, high tensile strength etc. We are offering our clients with a quality range of Copper Alloy Sheets that is available in various grades and is well known for its high mechanical strength. Available in different thickness, these copper sheets are widely used for craft work, sculpture work and home decor. 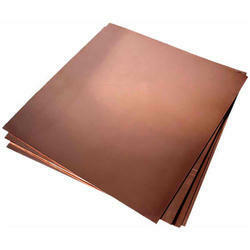 Procured from reliable vendors, these copper sheets can be easily bent and folded without any damage.